Tracking your menstrual cycles can help you understand what’s normal for you, time ovulation and identify important changes — such as a missed period or unpredictable menstrual bleeding. While menstrual cycle irregularities usually aren’t serious, sometimes they can signal health problems. The menstrual cycle, which is counted from the first day of one period to the first day of the next, isn’t the same for every woman. 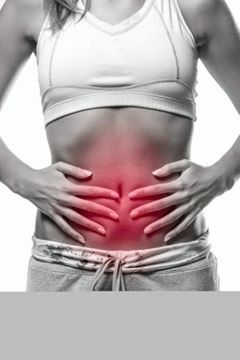 Menstrual flow might occur every 21 to 35 days and last two to seven days. For the first few years after menstruation begins, long cycles are common. However, menstrual cycles tend to shorten and become more regular as you age. Your menstrual cycle might be regular — about the same length every month — or somewhat irregular, and your period might be light or heavy, painful or pain-free, long or short, and still be considered normal. Within a broad range, “normal” is what’s normal for you. *Pregnancy or breast-feeding. A delayed or missed period can be an early sign of pregnancy. Breast-feeding typically delays the return of menstruation after pregnancy. *Eating disorders, extreme weight loss or excessive exercising. Eating disorders — such as anorexia nervosa — extreme weight loss and increased physical activity can disrupt menstruation. *Polycystic ovary syndrome (PCOS). This common hormonal disorder can cause small cysts to develop on the ovaries and irregular periods. *Premature ovarian failure. Premature ovarian failure refers to the loss of normal ovarian function before age 40. Women who have premature ovarian failure — also known as primary ovarian insufficiency — might have irregular or infrequent periods for years. *Pelvic inflammatory disease (PID). This infection of the reproductive organs can cause irregular menstrual bleeding. *Uterine fibroids. Uterine fibroids are noncancerous growths of the uterus. They can cause heavy menstrual periods and bleeding between periods. *Premenstrual syndrome (PMS) (A group of symptoms that start before the period. It can include emotional and physical symptoms). Dysfunctional uterine bleeding (DUB) is a hormonally caused bleeding abnormality. Dysfunctional uterine bleeding typically occurs in premenopausal women who do not ovulate normally (i.e. are anovulatory). All these bleeding abnormalities need medical attention; they may indicate hormone imbalances, uterine fibroids, or other problems. As pregnant women may bleed, a pregnancy test forms part of the evaluation of abnormal bleeding. 1. Dysmenorrhea affects over 50% of all postpubescent women, 5% are incapacitated for 1-3 days each month. a. Primary dysmenorrhea is painful menses without evidence of an organic lesion or cause, usually brief, and worst on the first day of menstruation. This type of dysmenorrhea is seen in ovulatory menstrual cycles, usually within five years of menarche, and improves with age. Most theories center around excess prostaglandin PGF2alpha, resulting in smooth muscle contraction. The role of estrogen and progesterone is unclear: estrogen is a stimulator of uterine activity, and progesterone is an inhibitor. Yet women with high levels of estrogen, such as those with anovulatory cycles and obesity, typically do not experience much dysmenorrhea. Treatment of primary dysmenorrhea usually is aimed at prostaglandin inhibition or suppression of cycles. Other non-specific measures such as heat, mild analgesics, and exercise should be encouraged, but narcotics are not used. Does the patient need contraception: Does she have other complains which make suppression of menses favorable? non-steroidal anti-inflammatory agents are administered. If not helpful, suppression of menses is considered. B. Abnormal Uterine Bleeding is defined as any bleeding which is considered excessive in frequency, duration, or amount by the patient, and as such should be evaluated. The pathophysiology involves hormonal balances, pregnancy, structural abnormalities, and cancer. DUB is the result of persistent anovulation where the endometrial lining does not shed in a synchronous fashion. Consider exogenous or endogenous sources of excess estrogen, such as peripheral conversion of androgens to estrone in obese individuals. Unopposed estrogen can lead to endometrial hyperplasia: we usually sample the endometrial lining in women aged 35 years or older who experience DUB. Perimenopausal bleeding is also anovulatory bleeding and should be evaluated for hyperplasia. The evaluation includes a pelvic exam, and may include an endometrial biopsy. Hysteroscopy visualizes the endometrial lining to identify polyps, fibroids, anomalies, and direct biopsies. Blood work includes a hematocrit, thyroid studies, prolactin, and pituitary hormones (LH, FSH) in select individuals. Don’t forget pregnancy as a cause of abnormal uterine bleeding! To biopsy or hysteroscope such a patient would be disastrous. 1. If the abnormality is anatomic, we surgical remove polyps or fibroids. Antibiotic therapy is used for chronic endometritis, or an IUD may be removed. Occasionally the patient is considered for endometrial ablation or hysterectomy. 2.If the abnormality is anovulation, exogenous progestins, estrogens, or combination therapy is used. This is felt to be an exaggerated presentation of molimina, the symptoms that many women experience in the luteal phase of the cycle and which accompany ovulatory cycles. An important attribute is that symptoms are found in the luteal phase, and absent in the postmenstrual week. Although many hypotheses exist, the etiology is essentially unknown. -all that cycles is not PMS. Some conditions vary with the menstrual cycles, including thyroid size, basal body temperature, and alcohol metabolism. Other conditions are exacerbated, but not caused by phases of the menstrual cycles: migraine, seizure disorders, asthma, genital herpes, and even angina. Mood disorders may commonly be exacerbated in the luteal phase. -all premenstrual changes may not be PMS. Molimina should not be labelled as PMS unless they are severe enough to disrupt daily life and family interactions, or affect alcohol, drug use, or suicidal thoughts. Evaluation is usually made by history alone; there are no specific physical findings or laboratory abnormalities. A calendar of symptoms should clearly demonstrate a luteal phase effect, with absence of symptoms after menstruation. Management is empiric, since the etiology is unknown. Even recent textbooks of gynecology suggest that most women suffering from PMS are somehow “causing it” and that successful treatment depends on a “responsive and cooperative patient who wants to get better.” Overcoming these stigma and acknowledging symptoms as real pathology is an important part of therapy. -Menstrual Disorders and Other Common Gynecology Problems by Peggy A. Norton, M.D.